Honolulu, Hi. 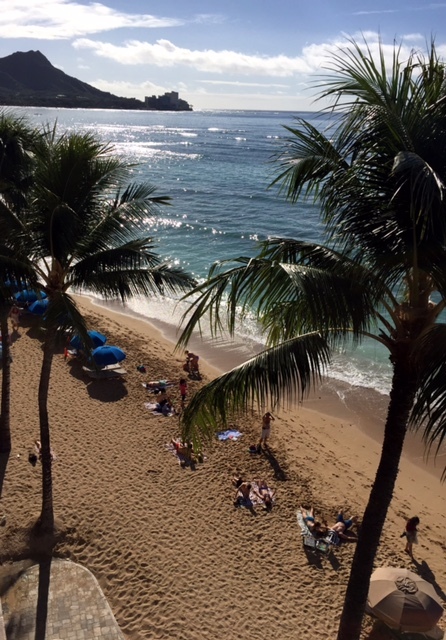 — It is easy to get lolled into a complacent repose here on the magical isle of Oahu. The rolling surf and easy trade winds loosen even the stiffest resolve, and one can forget, for the moment, the sulfurous zeitgeist wafting over the sport of athletics of late. From the doping positives and allegations of wide-spread cheating and corruption coming out of the distance Eden of Kenya, to the hardened realpolitik of alleged payoffs to cover failed drug tests in Russia — or to secure championship site selection by the IAAF — from the overturning of a mandate-level membership vote by a know-better USATF Board of Directors, to the potential loss of root and branch events like the 10,000, shot put, triple jump, and 200 meters on the track at the Olympics, there seems to be a sense of a house on fire on all fronts of athletics. Maybe this is the entropy toward which any old and failed model eventuates. Maybe this is how the culture of greed and corruption loops back on itself in an ironic twist of Shakespearean delight. In any regard, it is clear that the sport has completely lost its way. Those in charge seem less passionate about the game than about the easy rewards that come from positions within extra-national oligarchies that lack adequate oversight and deal in the murky world of international banking. It is why this sport is so attractive to so many of the wrong people as well as to so many great athletes and well-meaning supporters. The political season of athletics is upon us. This weekend in Anaheim, California USA Track & Field (USATF), the National Governing Body for track and field, long-distance running and race walking in the United States, convened for its annual meeting. While this family gathering has degenerated in past years into internecine squabbles, last night USATF CEO Max Siegel gave an encouraging State of the Sport address in which he presented several new initiatives across the USATF platform, while announcing two new sponsor partnerships with Hoka One One and Rosetta Stone. Also, today we heard 1980s Olympic middle-distance champion Sebastian Coe of England announce his candidacy to replace retiring IAAF president Lamine Diack of Senegal in 2015. Lord Coe released a Manifesto in conjunction with his announcement, ‘Growing Athletics in a New Age’. Coe’s primary opponent for the IAAF top job will be another athletics icon of the 20th century, pole vaulter Sergey Bubka of Ukraine who also currently serves as an IAAF Vice President . In light of these tidings, I thought I would release the contents of the keynote address I made to the Global Athletics Conference in Durban, South Africa in November as it speaks to many of the same issues which confront the leaders of this age-old sport. Titled “Media Matters”, these are subjects which I have written about in the past on this site. I received numerous responses to my last blog post — UNTYING THE USATF GORDIAN KNOT — about the current state of the sport, its governance, and the future of the fledgling athletes’ union, the Track and Field Athletes Association (TFAA). One of the over-arching themes that emerged was the need for athletes to speak with one voice because so much of what they want for their future is still tied into the issue of governance. After all, goes the argument, it is the elected officials of the national governing body (NGB) that make and enforce the rules of competition, head up relevant sport committees, and appoint officials to make the on-site rulings. Individually, athletes simply don’t have the standing to help decide such issues, while collectively they would. While that argument is absolutely true, it is only true as pertains USATF-sanctioned events and championships. Just as in tennis, golf, basketball, you name it, the job of developing a sport, of contesting its national championships, and then selecting its Olympic or World Championship teams, is not one and the same as staging and presenting a professional version of that sport for its own sake. Tennis is governed by the International Tennis Federation (ITF) and its 210-member national tennis associations. They sanction the four Grand Slam events, and operate three major international team competitions, notably the Davis Cup. But it is the Association of Tennis Professionals (ATP) and Women’s Tennis Association (WTA) Tours that control most other high-level professional tournaments. This is the organizational hierarchy athletics and road racing don’t have, but are in need of. 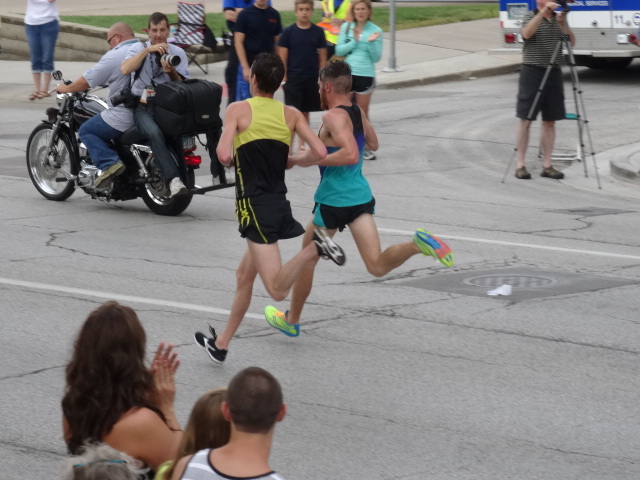 In the public eye, as we’ve seen, there is no clear line between amateur and pro track and road running. People still wonder how you can take prize money and still compete in the Olympic Games. And the quote from George Perry of the Austin TC that attendees of the IEG Sponsorship Conference had “no idea there was such a thing as pro track in the US”, stands as an indictment to us all. My point is that until we have a fully professional model that is readily distinguishable from the developmental aspect of track & field, we will continue to be unable to effectively explicate the sport to the public, or market it to its full advantage. But to create that distinction, we must, necessarily, move away from the single organizing umbrella model, while retaining and supporting the important and necessary functions required of the national governing bodies. With the end of the Cold War reawakening centuries old ethnic animus, and modernity exerting economic pressure on limited resources, the reordering of the world continues along a rancorous course as globalization comes into opposition against national political interests. 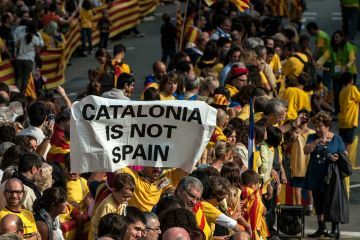 Whether we see it expressed in separatist referenda in Catalonia, Venice and Scotland, or via the ongoing crisis in Crimea, nationalist movements are on the rise as peoples affiliated culturally and linguistically seek independence from the larger nations that contain them politically. So, too, has reordering involved the realm of sport. 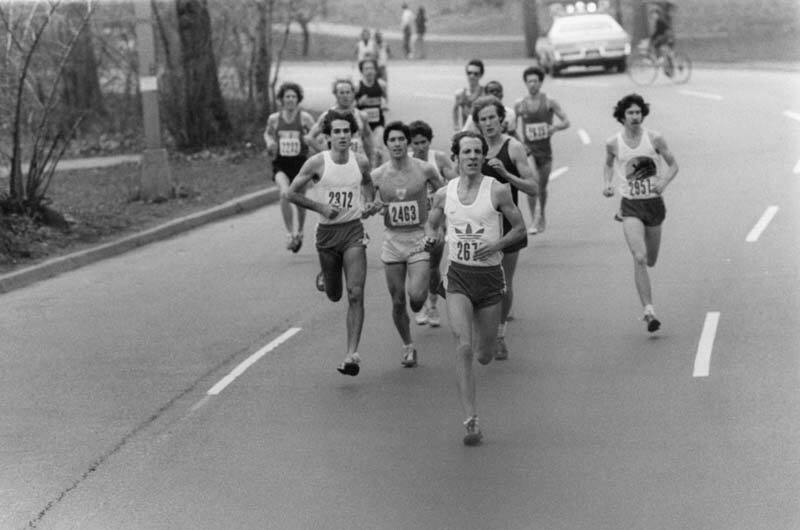 The Amateur Sports Act of 1978 broke up the old Amateur Athletic Union (AAU) while providing national governing bodies for each Olympic sport individually. In that restructuring, track and field, race walking and long distance running were lumped together under the same umbrella called The Athletics Congress (TAC), today known as USA Track & Field (USATF). But just as nations undergo constant shifts in populations and affiliations, so has the relative scope of USATF’s component parts undergone fundamental change in the last three-plus decades. 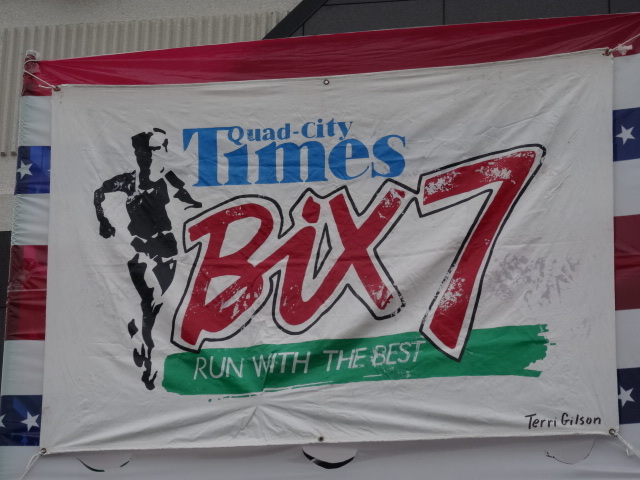 Over that time road racing’s mature numbers have grown to dwarf those of track and race walking, such that road racing has become to track & field what black South Africa had traditionally been to white South Africa during the days of apartheid, a population majority holding a minority political base. 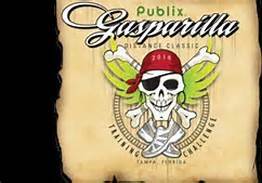 I was in Tampa last weekend to help announce the Publix Gasparilla Distance Classic as the old-line road race was reintroducing prize money after an absence of 17-years. After the race I drove north to visit old friends in Gainesville where I’d spent 10 winters in the 1990s. And what happened while I was away? The track world falls apart in Albuquerque, New Mexico at the U.S. Indoor Nationals. I tell you, I’ve been trying my best to embrace USATF as a changing, responsive national governing body, what with Max Siegel taking over in an appreciably quiet, yet focused way as CEO. And though there were momentary echoes of some benighted AAU or TAC ghost hovering near the 2016 Olympic Marathon Trials selection process that chose L.A. over Houston, a closer inspection revealed both sides on firm ground with no hidden agendas, and a fair argument to bolster its case. Just sad one of the cities had to lose. And with combined trials, the sport loses inventory, too, as there is one less national exposure available. 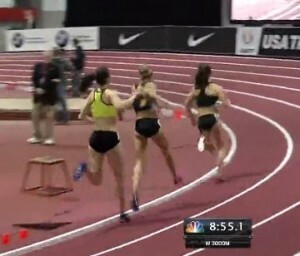 Brooks athlete Gabby Grunewald about to pass Nike Athlete Jordan Hasay in women’s 3000. But history isn’t linear, and pendulums have a habit of sweeping back in the other direction. Thus, a quick survey of recent moves in the sport lead to a conclusion that competition is once again being noticed, even appreciated, and highlighted.